When you’re visiting or moving to Puerto Rico, especially for the first time, it can be a harrowing experience to figure out and get used to how the driving experience differs from other countries. You will also want to make the most of your trip and see all the incredible sights without struggling to find them. Prepare yourself for what’s to come with this handy guide to driving and sight-seeing in Puerto Rico. Driving laws in Puerto Rico tend to be accepted as more of a suggestion than anything else. Frequently, people run red lights and stops signs. People will stop in the middle of the road and get out of their car and walk into a store or up to a fruit stand. Some will even turn right, across traffic, all the way from the left lane. You occasionally see these things wherever you drive in the world but it’s extremely commonplace in Puerto Rico. You’ll also see many more speed bumps on smaller roads. They aren’t just in parking lots or high pedestrian areas either. Some people have reported, during a short trip of less than a mile, hitting over twenty speed bumps in random locations. You’ll also end up encountering a lot of potholes as well. Don’t count on being able to use your GPS or GPS based driving aps either. Many addresses of business have been logged online under false addresses for one reason or another. So, your GPS likely won’t be able to take you to where you’re going. Your best bet is to verify the address of wherever you’re going through several sources before you do go. You’ll also see police and other emergency vehicles constantly driving around with their lights on. This is essentially their reaction to the perpetual dense traffic and constant rowdy driving habits many people exhibit there. They are only pulling someone over or on their way to a call if their siren is on as well. Finally, be ready for a considerable amount of animal crossings. From chickens to horses many animals roam free and will cross the road without hesitation. Regardless of the experience you have driving, Puerto Rico is an incredible place to visit with a rich culture, amazing people and many beautiful sights to see. 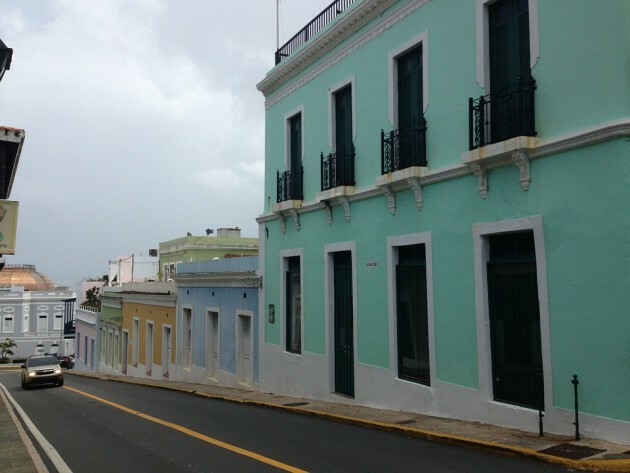 From Old San Juan to the breath-taking beaches, these spots make some frustration in traffic completely worth it. For directions to any of these great spots, click the link below each write up and enter your current location, Google Maps will take you the rest of the way! 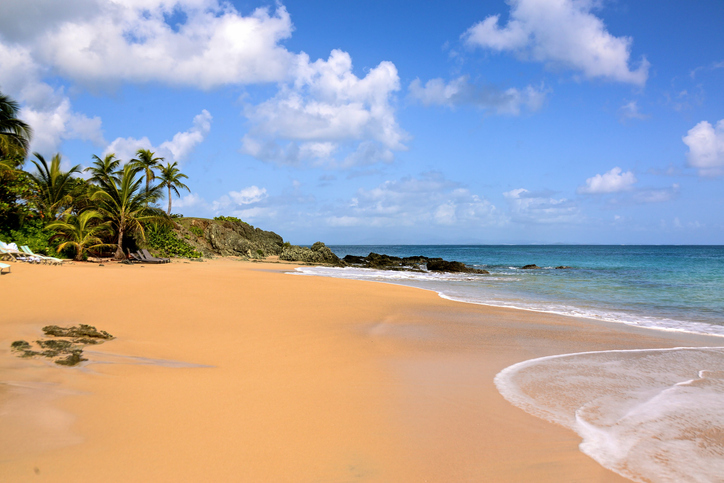 – One of the best places to visit in PR due to the lack of big chain hotels or local structures, Vieques is a great place to spend a nice relaxing day at an amazing beach. It’s also known for its breath-taking glowing water on certain nights due to some of the ocean life’s occasional phosphorescence. 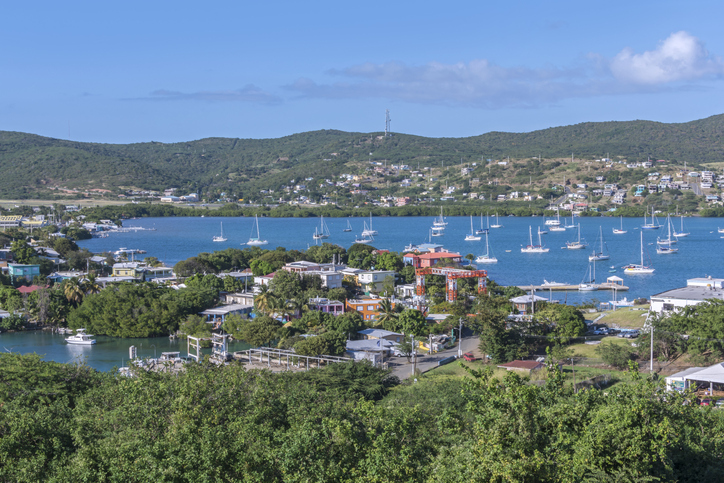 – With some of the best coral reefs in the world, Isla Culebra has no shortage of wonder to observe. It’s also another gorgeous yet quiet and quaint beach where you can really remove yourself from the hustle and bustle of everyday life and just enjoy the ivory sand and bright blue water. 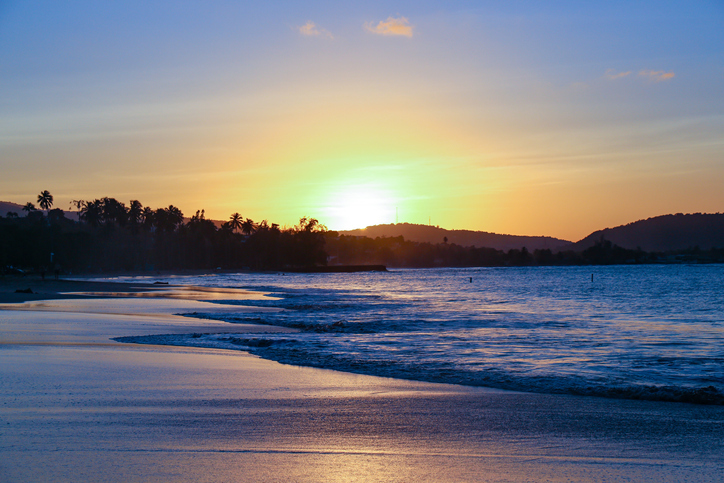 – Gold sand and calm tranquil water characterize Luquillo beach well. It has food vendors and new restrooms and is a short trip from El Yunque National Forest. 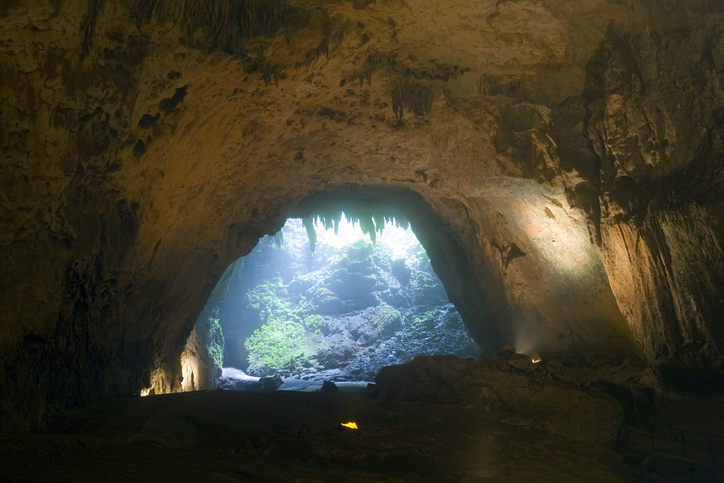 – Covering over two hundred and fifty acres and going over two hundred feet deep into the ground, the Rio Camuy Caves are one of the less traditional yet most interesting attractions in Puerto Rico. These caves feature incredible rock formations and underground rivers. 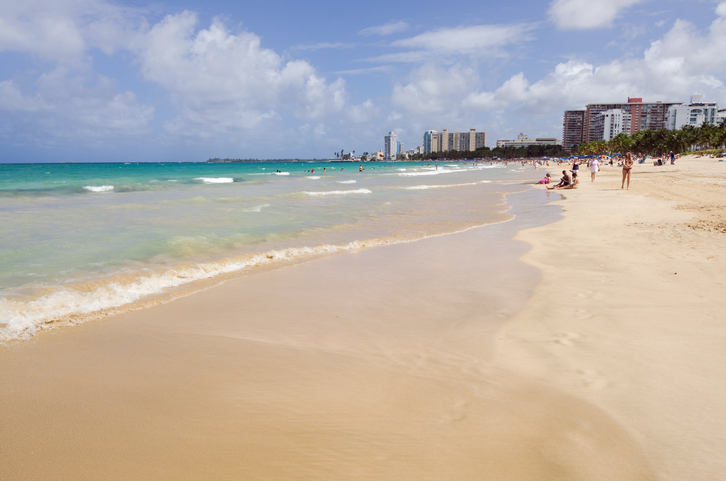 – Much closer to a traditional American beach than any of the others on this list, Isla Verde is still a relaxing and beautiful stop during your Puerto Rican excursion. The best part of this beach is it’s proximity to several other Puerto Rican attractions such as Old San Juan. 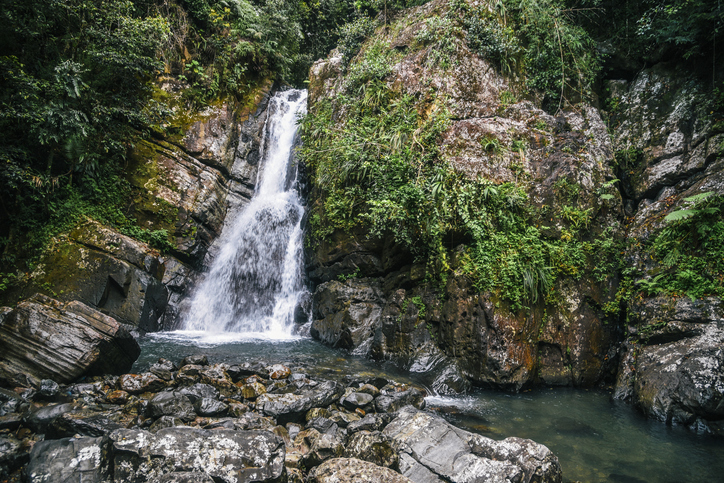 – A gorgeous tropical rainforest located along the Luquillo Mountains, El Yunque National Forest is a must-see stop for your Puerto Rican excursion. It boasts hundreds of different types of wildlife as well as lush plant life and several waterfalls. 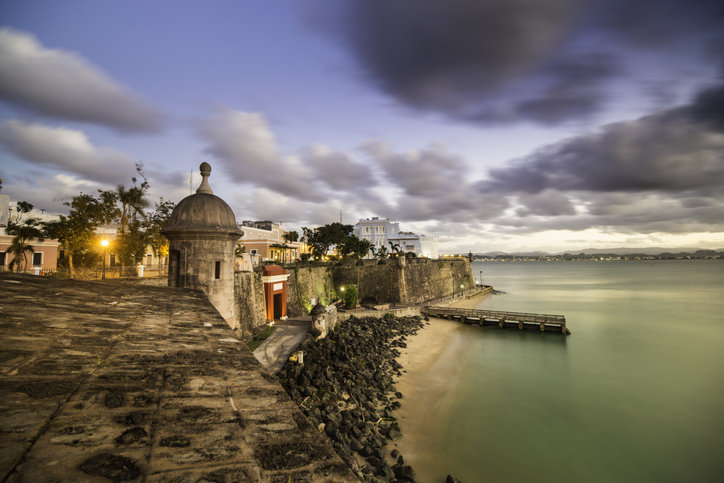 – For years, one of the most popular tourist attractions in Puerto Rico, Old San Juan is a mesmerizing sight of beauty and history. It’s over five hundred years old and has several forts as well as the San Juan Cathedral. Part of your experience in Puerto Rico might be marred by some unfortunate driving experiences. Don’t worry though, it will be worth it when you visit some of the incredible places from the list above. Keep in mind that those are only some of the amazing places you can visit in Puerto Rico too! Don’t take our word for it either, go and visit. For any other information you might need you can always visit the Puerto Rican Tourism site. If you need your car shipped there, you can always give us a call at 904-322-7644.